I’m thrilled to have this piece included in an exhibition at the Staten Island Museum, April 13th - February 23, 2020. 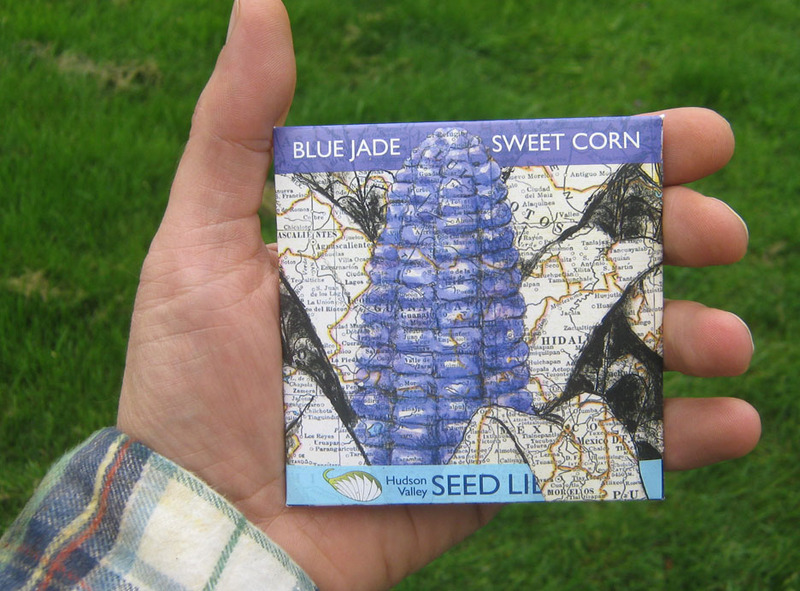 This drawing was originally commissioned by the Hudson Valley Seed Company, to illustrate a seed packet of Blue Jade Sweet Corn (a plant which originated in Mexico). 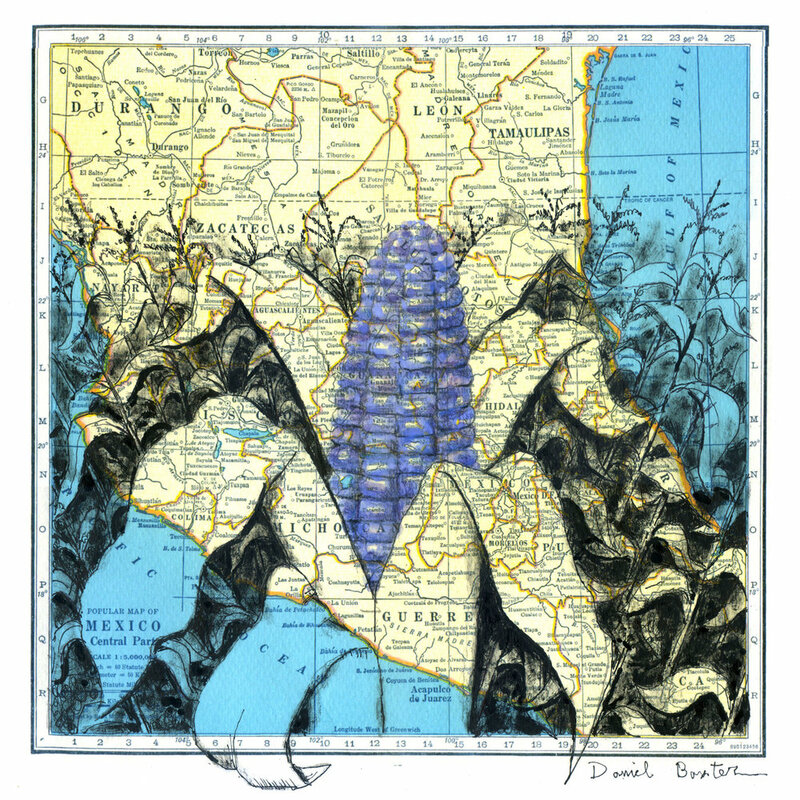 The exhibit is called Field Notes: Seed Stories and the Power of Plants. You can learn more about this show here. This drawing (from 2012) was recently licensed to be used as set dressing on the TV show, Magnum PI, which is filmed in Hawaii. I have yet to seen this reboot of the 1980s series, but my favorite set piece from the original version has gotta be Tom Selleck's mustache. Prints of this piece are available here! Heres a portrait of the brilliant singer/songwriter, Amy Winehouse, in which I utilized makeup brushes to create depth. So many iconic singers have tragically died at 27 years of age, including Jimi Hendrix, Janis Joplin, Kurt Cobain, Jim Morrison and Brian Jones. Sadly, Amy joined that club in 2011. 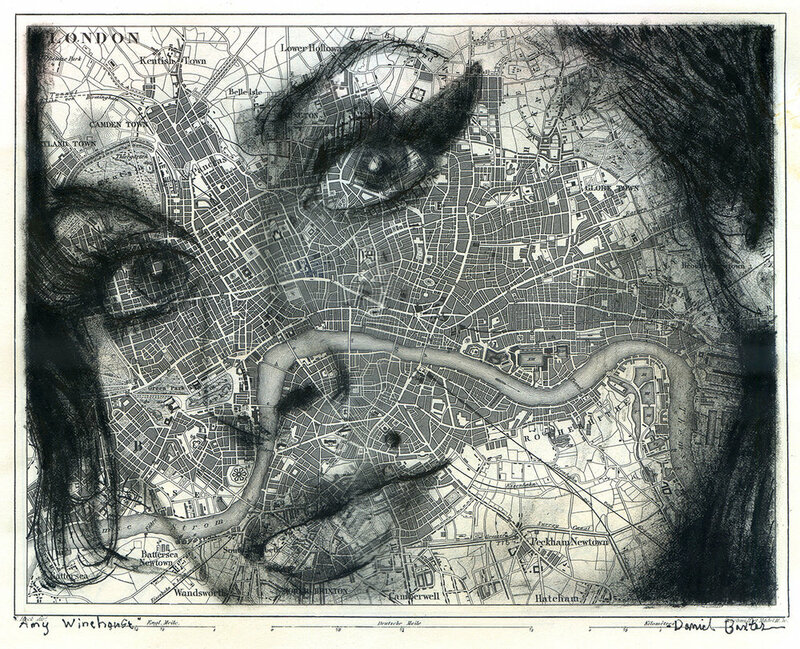 I drew this tribute on a map of her hometown, London. Signed prints are available here! She’s a visual artist, singer/songwriter, activist, and philanthropist all in one person. She steadfastly honors the legacy and vision of her late husband, John Lennon. And when it comes to waging peace, Yoko is numero Ono. Signed Prints of this piece are available here! I recently read a hauntingly beautiful novel by Paul Bowles, The Sheltering Sky. The book’s setting in Northern Africa led me to learn more about life in the Sahara Desert. Through my research, I came across this cute critter, the fennec fox. Also known as a sand fox, these tiny creatures weight no more than 3.5 pounds as adults. I’m guessing 90% of that weight is in their ears. Sighed prints of this piece are available here! I drew this portrait back in the fall of 2017. Last January, Warner Brothers Entertainment approached me about using a print of it as a background-set-piece in the reboot of a TV series, Roswell, premiering on the CW Network tonight! This sci-fi drama (retitled Roswell, New Mexico) involves extraterrestrials hiding amongst the citizens of this storied New Mexico town. 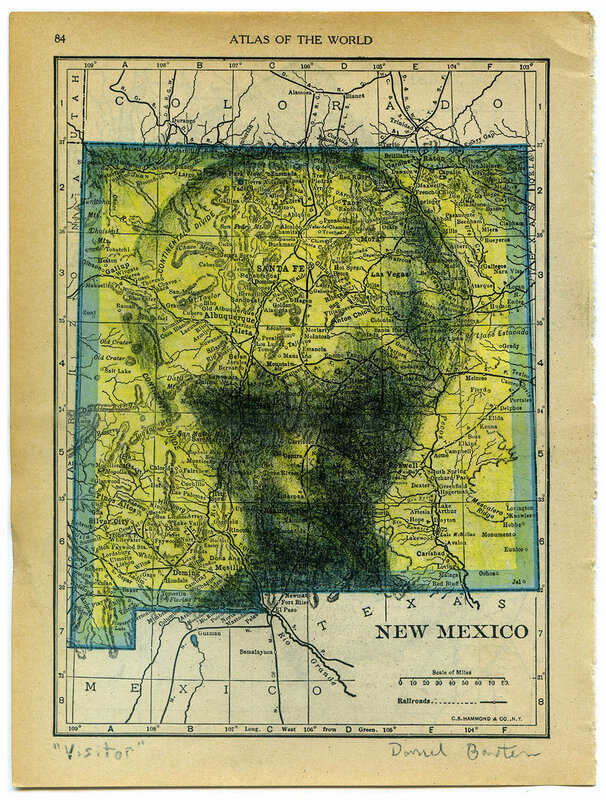 If you watch Roswell, this image (along with other alien-themed artwork) can be seen on the walls of the Crashdown Cafe, a recurring location on the show. You can purchased a signed print of this piece here! Prints of this piece can be purchased here. Our nation has a mean-spirited face. Let’s vote for a makeover! who will make our country a kinder and better place. Here's a portrait for a new client, Sarah Lawrence College, in Bronxville, NY. 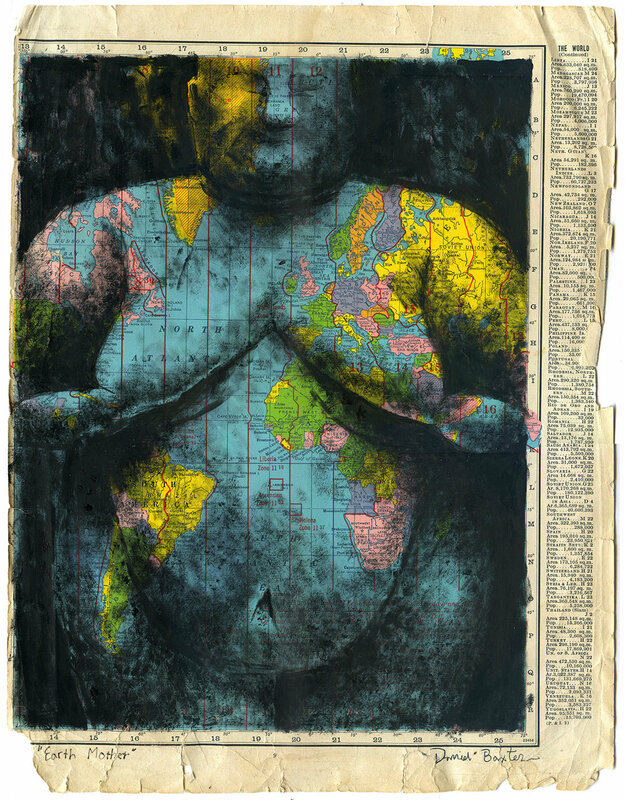 It depicts alumna, Lux Vidal, a noted anthropologist. 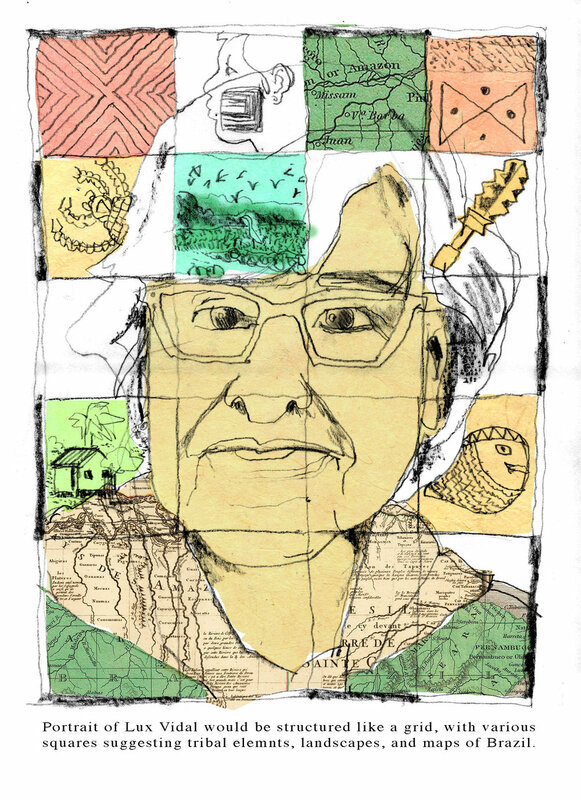 She devoted her life to studying indigenous tribes in the Amazon region of Brazil. She became a forceful advocate for supporting the rights and culture of the Xikran tribe. 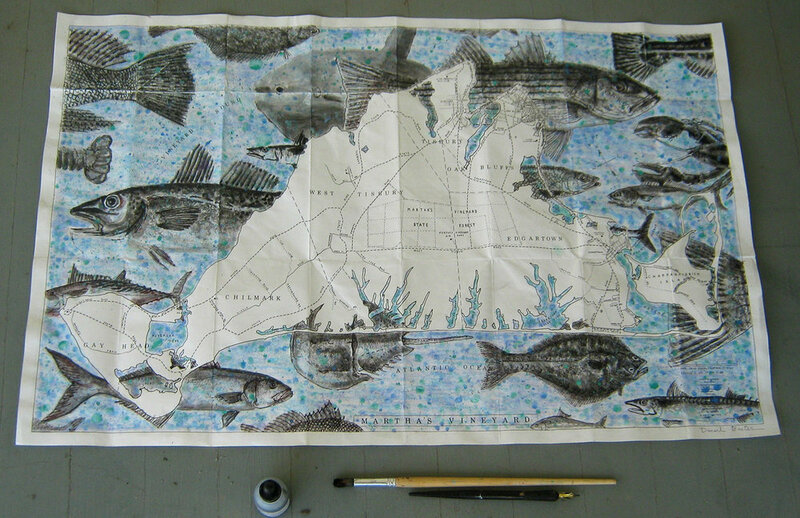 Not only was this a fascinating assignment to collaborate on, it gave me an opportunity to incorporate one of my favorite elements into the artwork, maps! A special thanks to designer, Hannah Fichandler, and editor, Jean Smith, for this fantastic assignment. Before declaring any manifesto, a passport fluttered open, revealing Ernesto. Vagabond forging a motorbike-route, he’d peel out hard, on united fruit. Asthmatic slumping on his chopper, humanity drained, traded for copper. Before tee-shirts exploited this face, banana republics, branded in disgrace. From all five boroughs of a neurotic mind, seven dirty words are gleefully enshrined. Subway tunnels connect to Freud and Jung, trains emerge, irreverence on the tongue. A legend’s lines flow across this chart, with a juvenile sound, rhyming with heart. Prints of this piece are available here. Enough with trade wars and tariffs. 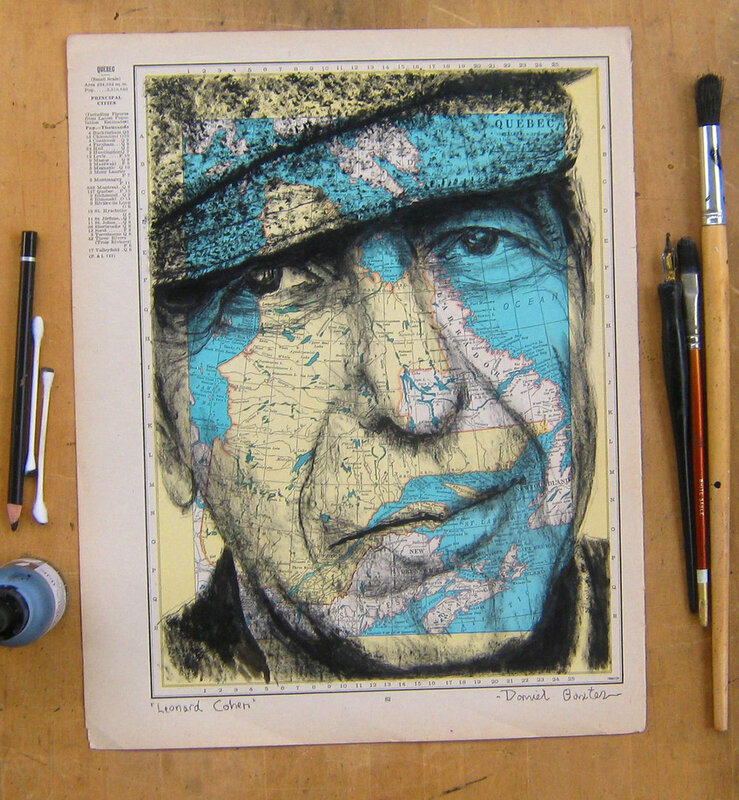 America needs more great Canadian imports, like Leonard Cohen. This legendary singer/songwriter, poet, and novelist was born and raised just outside Montreal, Quebec. We lost him last year, but this true artistic spirit's legacy lives on. 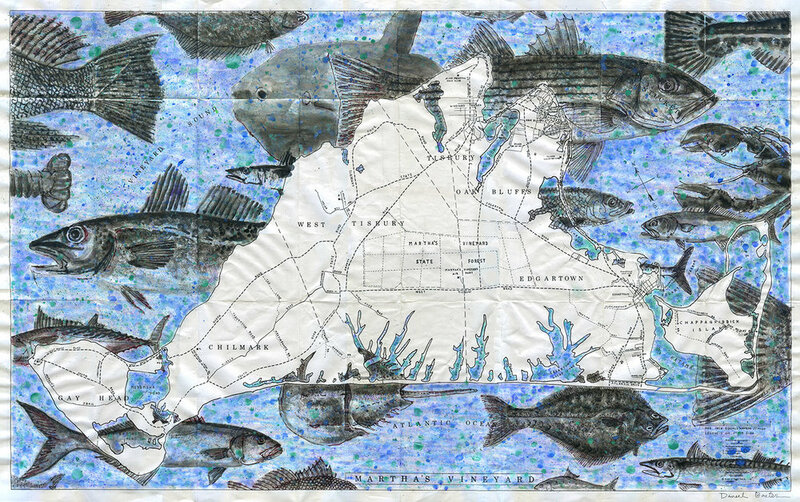 Vineyard and vine, encompassed by bluefish and brine. A piscine emblem framed by the sea, ivy leagues wave at me. Crosstown traffic hums below, deaf to summer’s calypso. 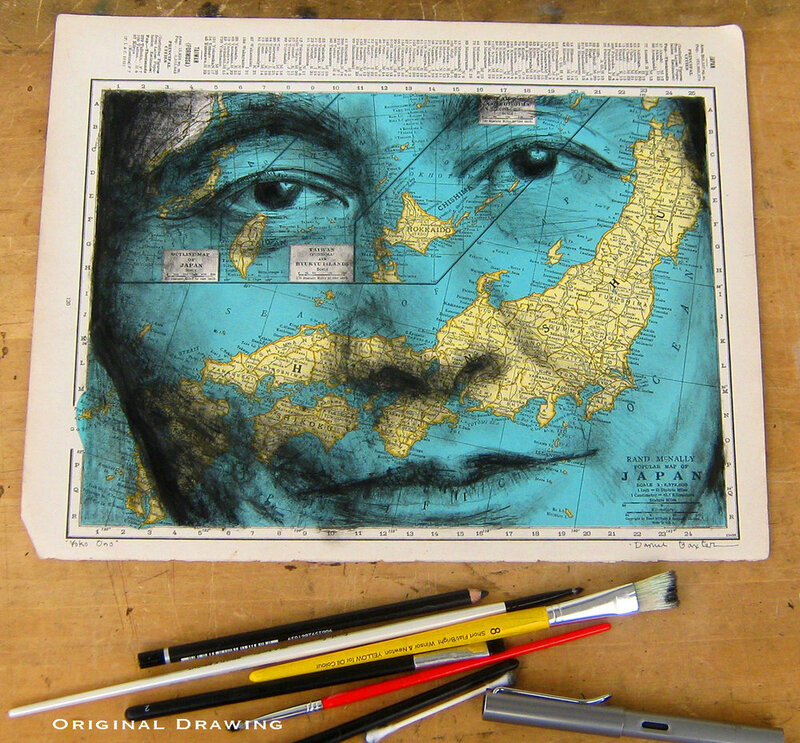 ink and gauche painted on a map, 35" by 22"
I’m honored to have this portrait recognized by the prestigious American Illustration 37. It will be included in their permanent online archive. Thanks to the Jury! Prints of this portrait of the late great Stephen Hawking are available here! Bengal hearts beat within a Tiger economy, as moms with balms practice Tiger astrology. These beautiful creatures play a significant role in many Asian cultures, as a physical, metaphorical and spiritual presence. Signed prints are available here! He emerged from the land of ten thousand lakes, with poetry tapped from the deepest of waters. His name is Bob Dylan. Prints of this drawing are available here.